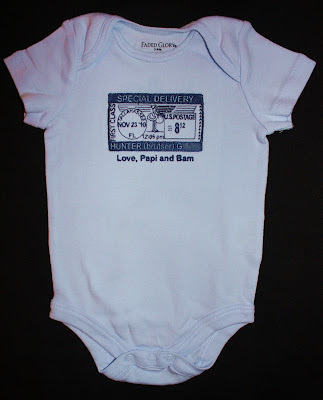 Lisa asked me to make a Special Delivery onesie for her grandson. 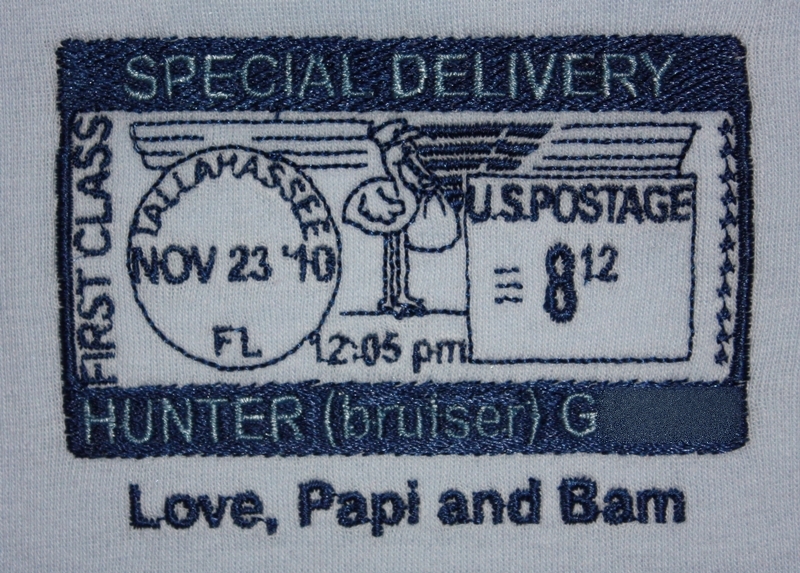 If my calculations are correct, this is my 60th time stitching the Special Delivery design!! 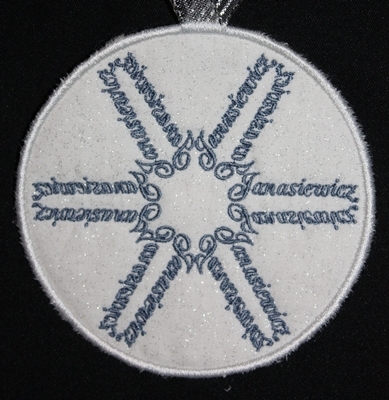 This one is even more unique than the rest. 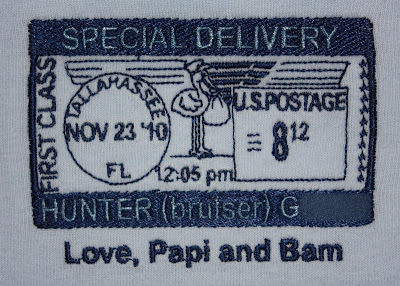 I think it's the first time I've included a nickname in the design. 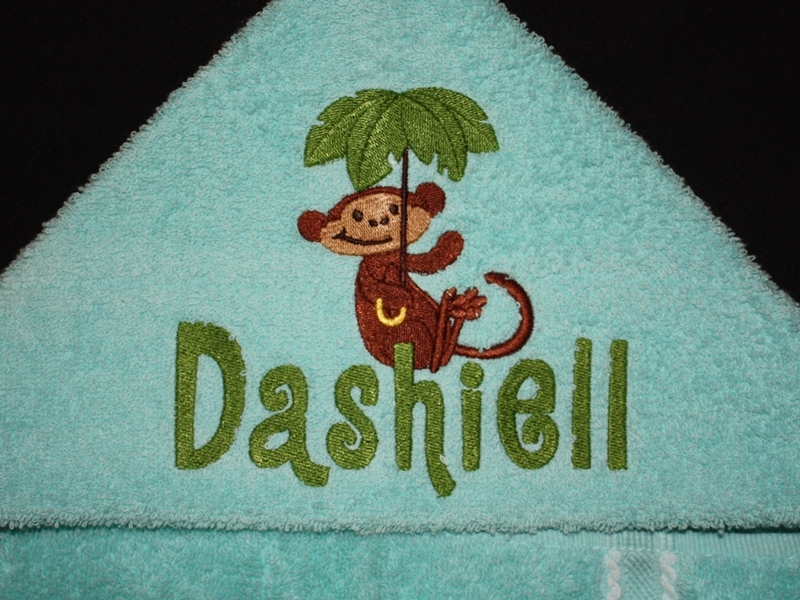 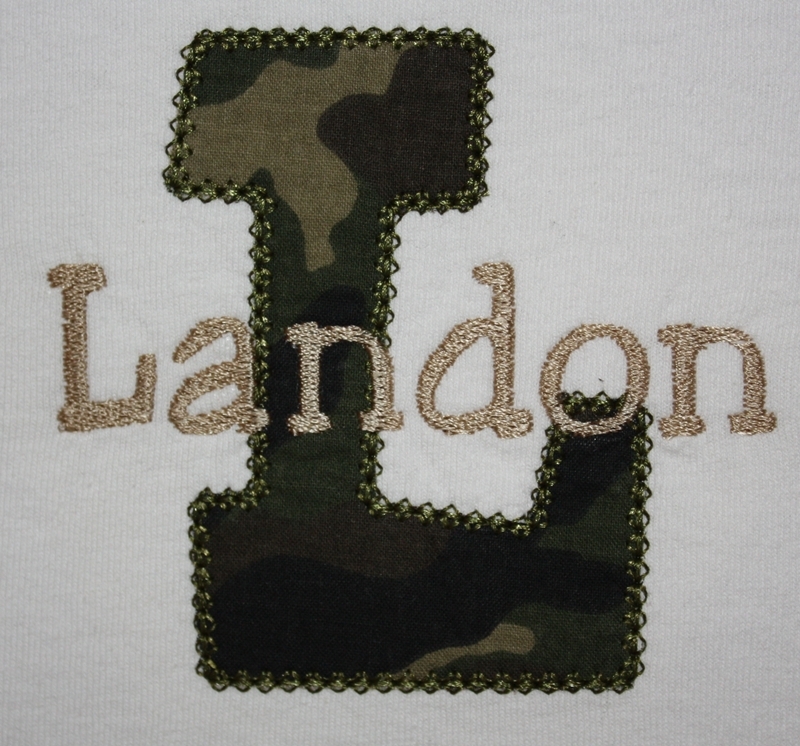 Also, Lisa asked me to add extra text below the design, which I did using Embird alphabet #2. The original design is from Sew Terific Designs; I customized the design with baby's birthplace, birth date, time, weight and full name. 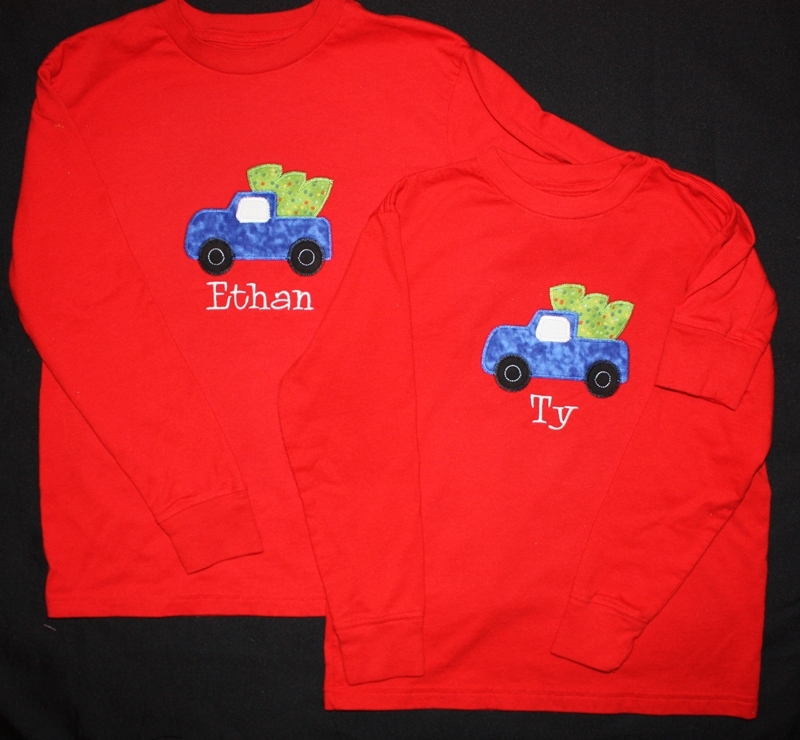 Early in the fall Kelli contacted me about making gifts for their parents. 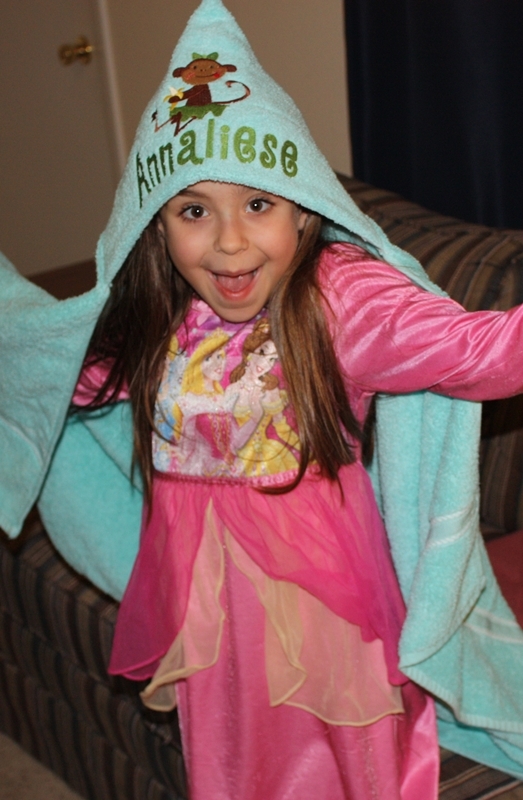 She had a vision, and it was fun trying to make that a reality. The designs on these bags took a while to create, but I learned something new about my Embird Studio software and it was worth it! 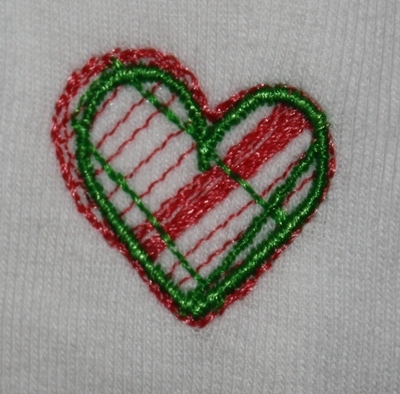 I used Five Star Font's Deco Heart Applique as my starting point. The design is actually a double heart. 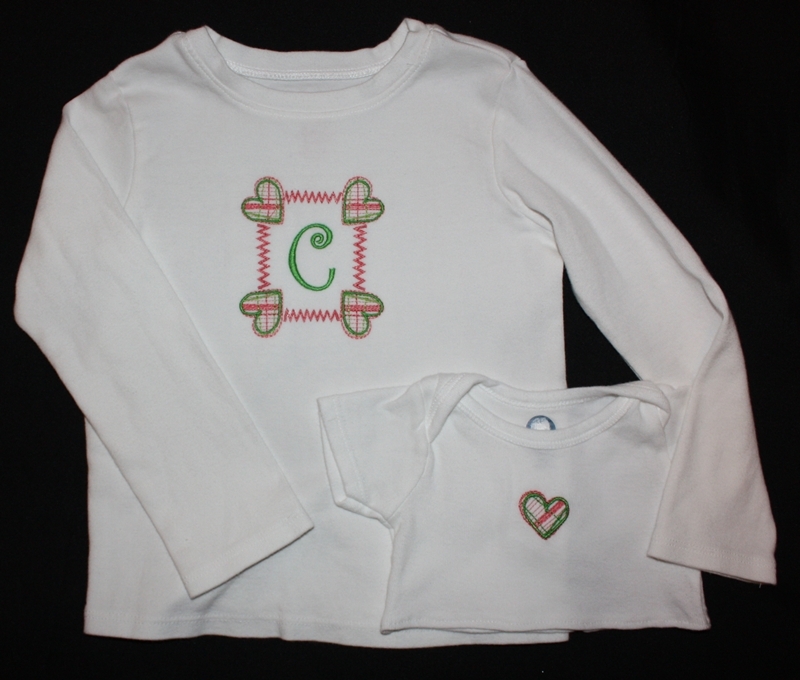 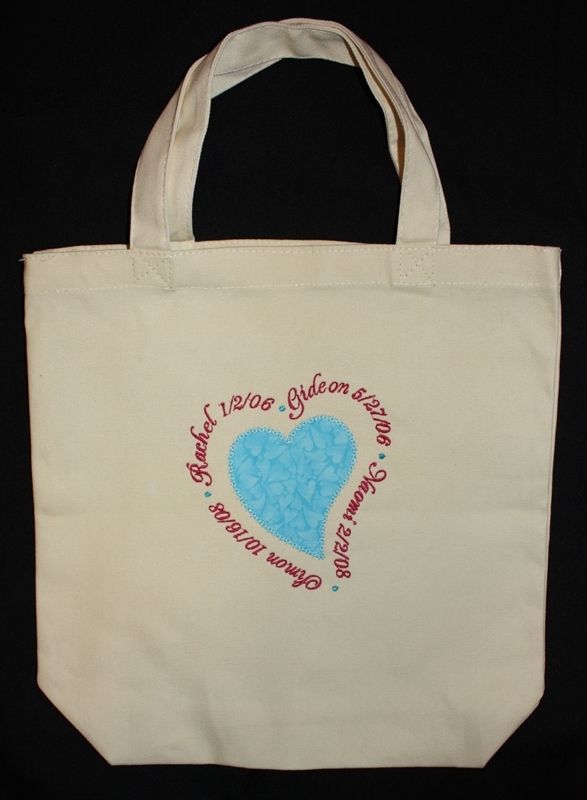 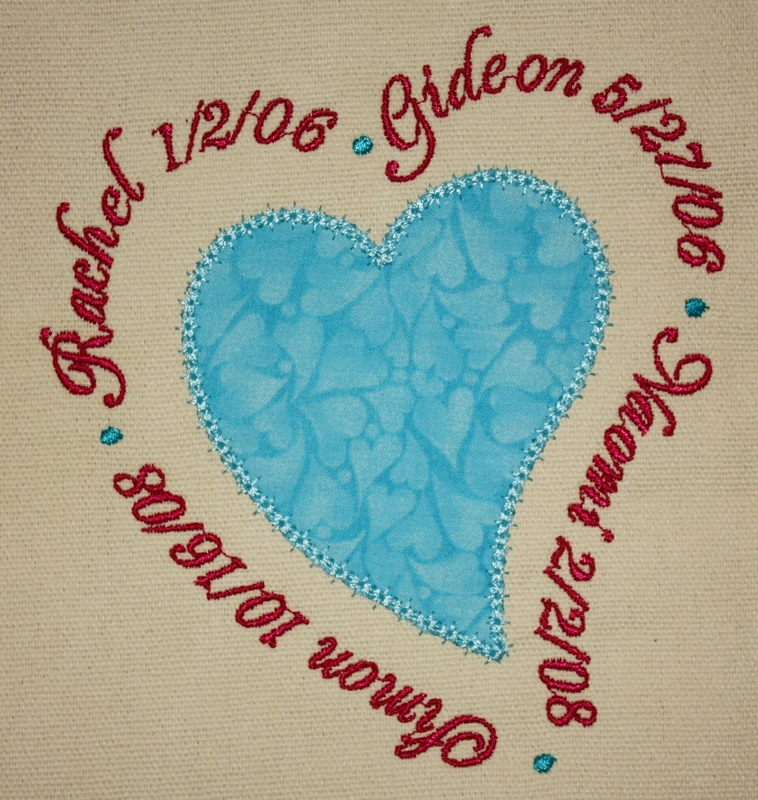 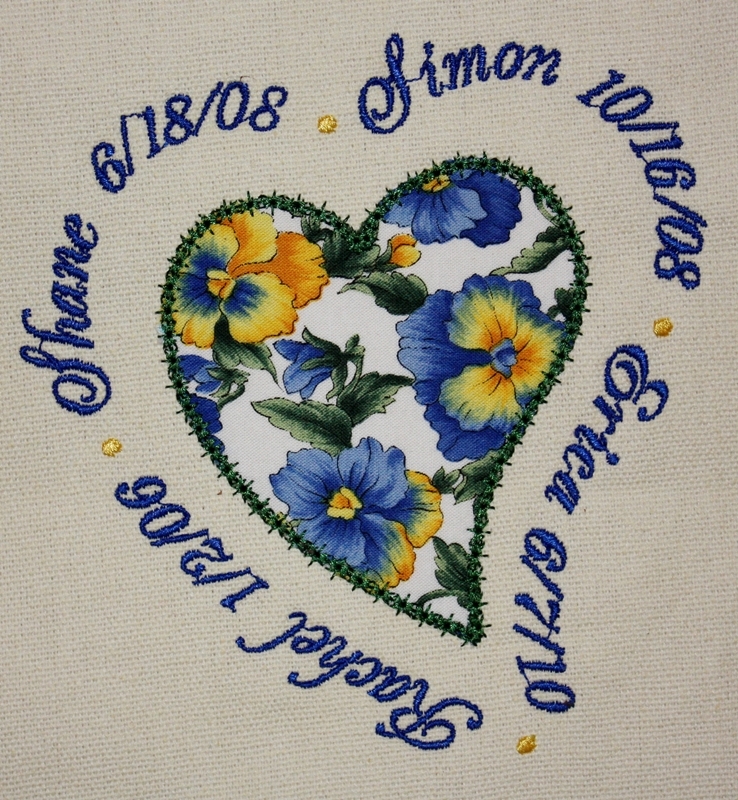 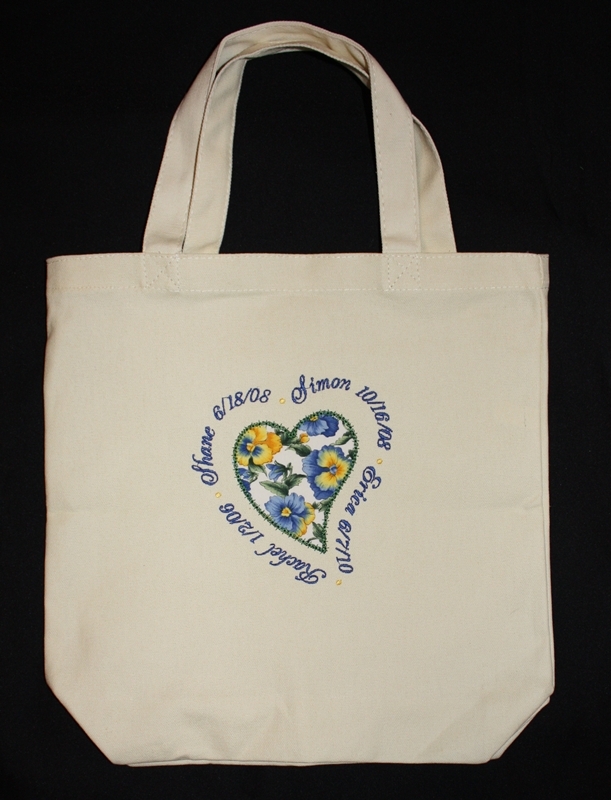 I used the outside heart as my baseline for the text, and only appliqued the inside heart. 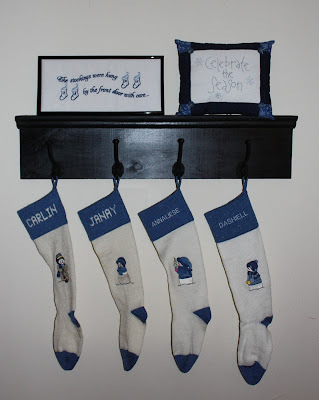 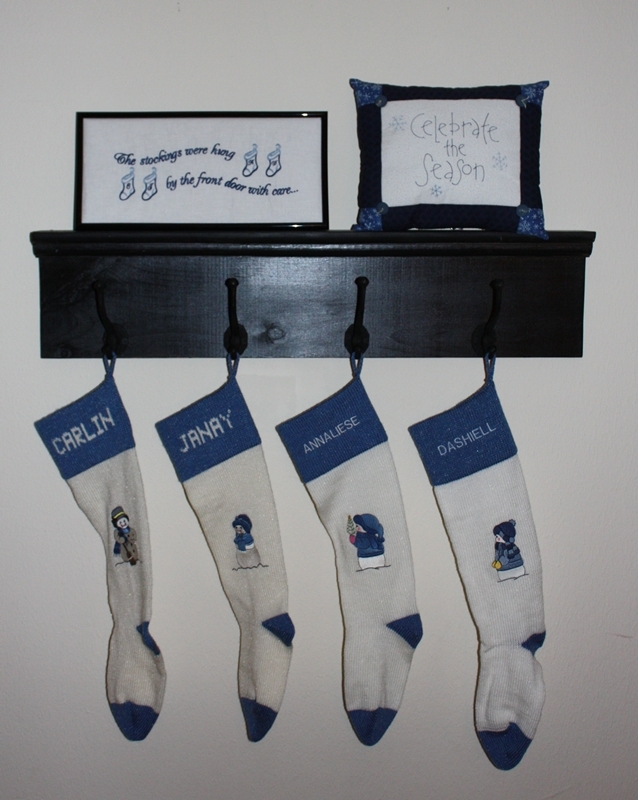 I used Embird alphabet #38 to add the names and birth dates of her four grandchildren. For Grandfather Lyle (aka Opa) Kelli wanted a shirt similar to the two I made around Father's Day. Thankfully she did the hard part ahead of time... she looked at all the Stick Figure Faces from Embroidery Library and picked which ones best represented Opa's grandkids. 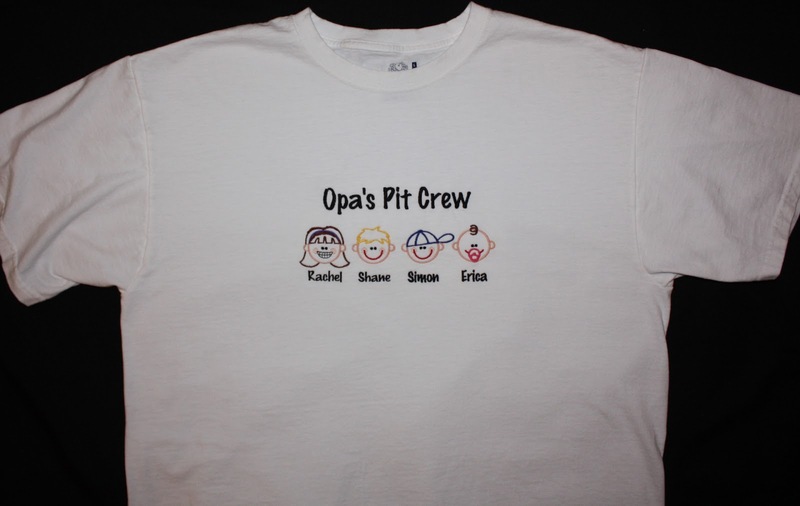 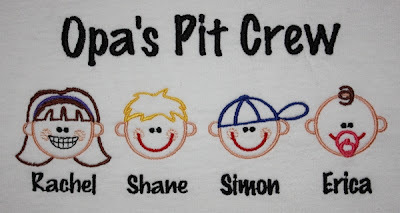 I used Embird Alphabet #8 to add "Opa's Pit Crew" and the names of the kids. 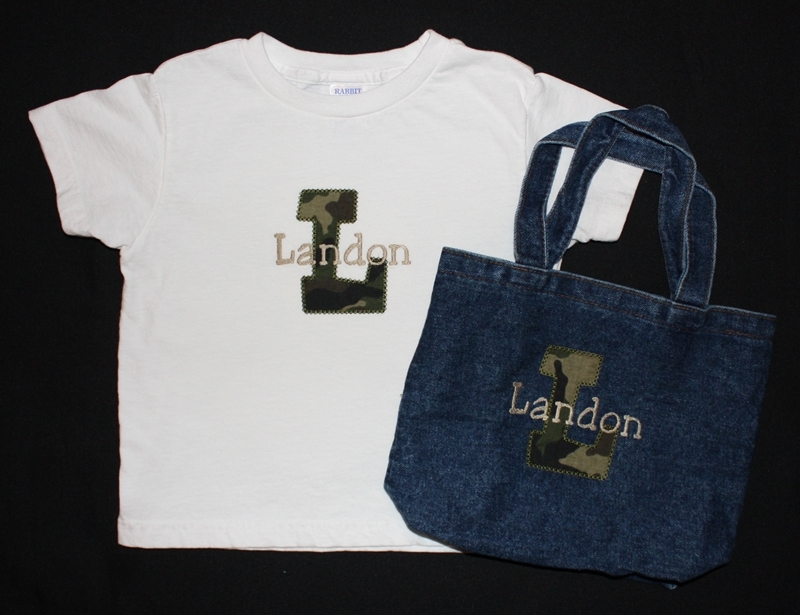 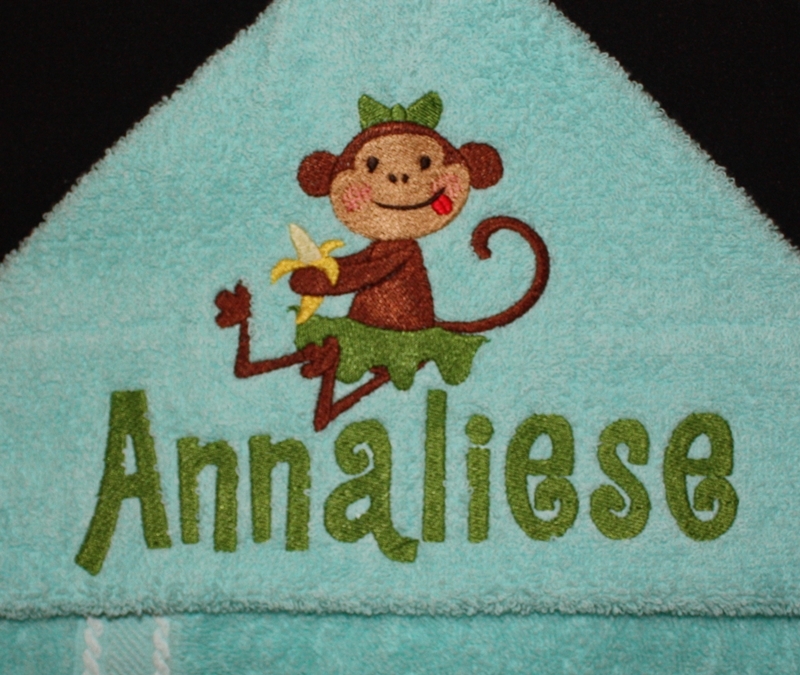 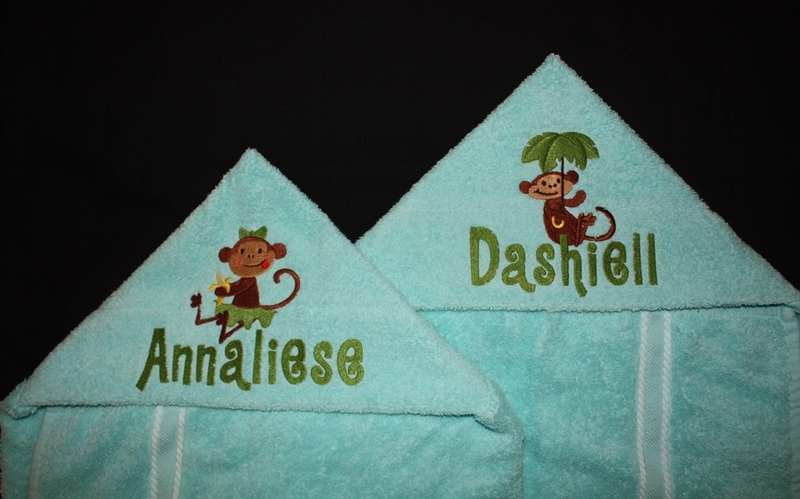 The "L" is from Embroidery Boutique's Fun Applique Alphabet, and "Landon" is stitched with 8 Claws and a Paw's Jester Alphabet. 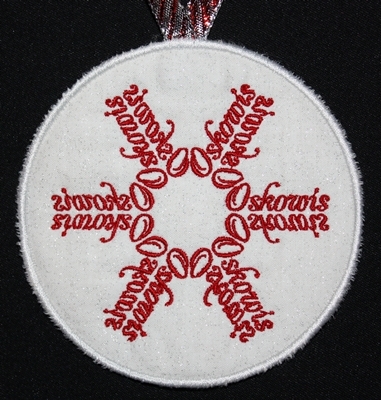 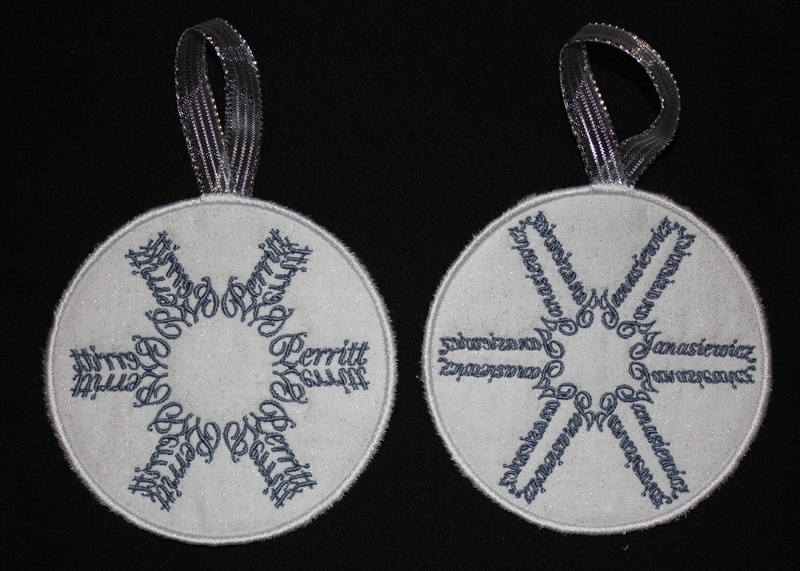 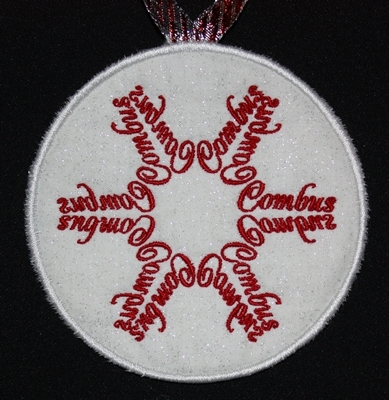 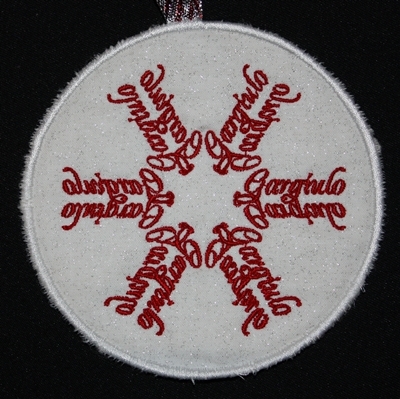 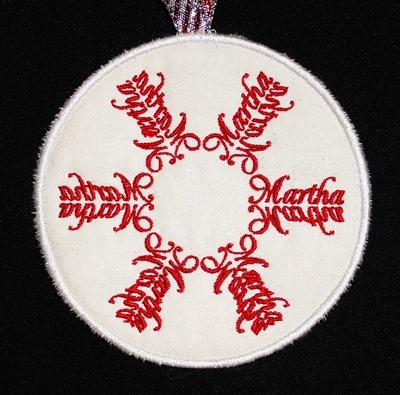 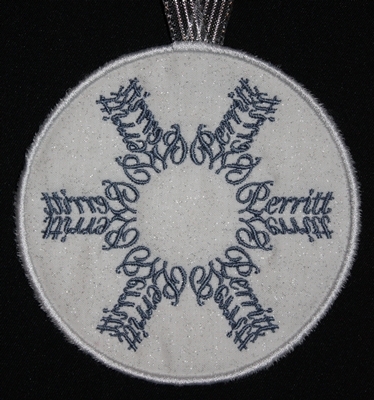 I used Embird Alphabet #38 for the text and took the stockings from an Embroidery Library design. 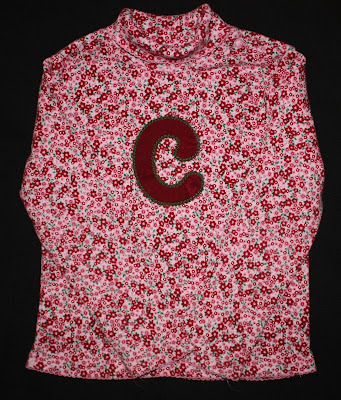 The C is from Embroidery Boutique's Vintage Applique Alphabet. 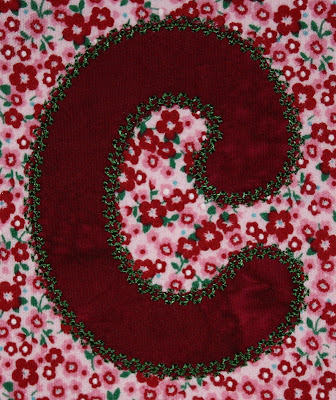 I used a frame from AK Designs Boutique, and I added the C with Embird Alphabet #17. 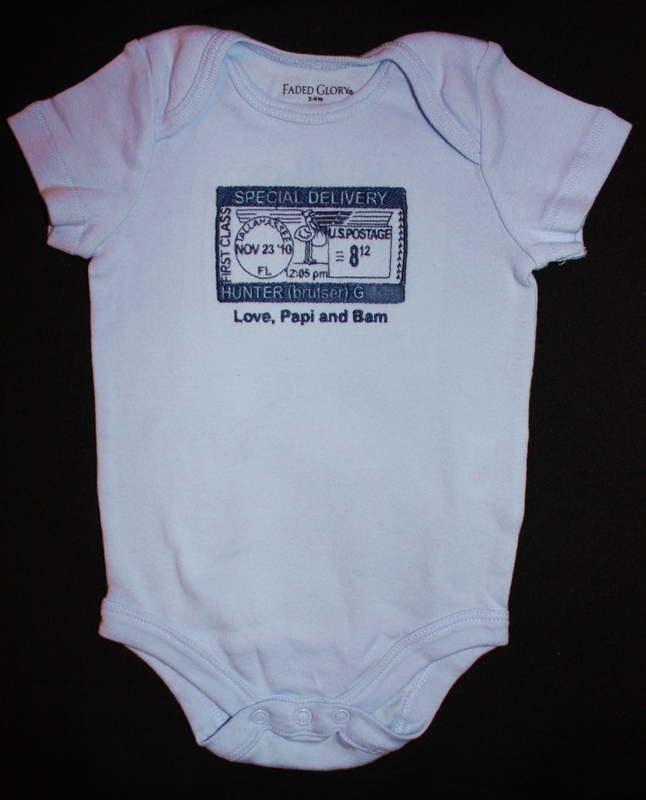 To make the bear's shirt, I chopped off the bottom of a 0-3month onesie and embroidered a heart from the frame. I imported the image into Embird and digitized the design. I have only dabbled in applique designs, but I'm really pleased with how this came out! 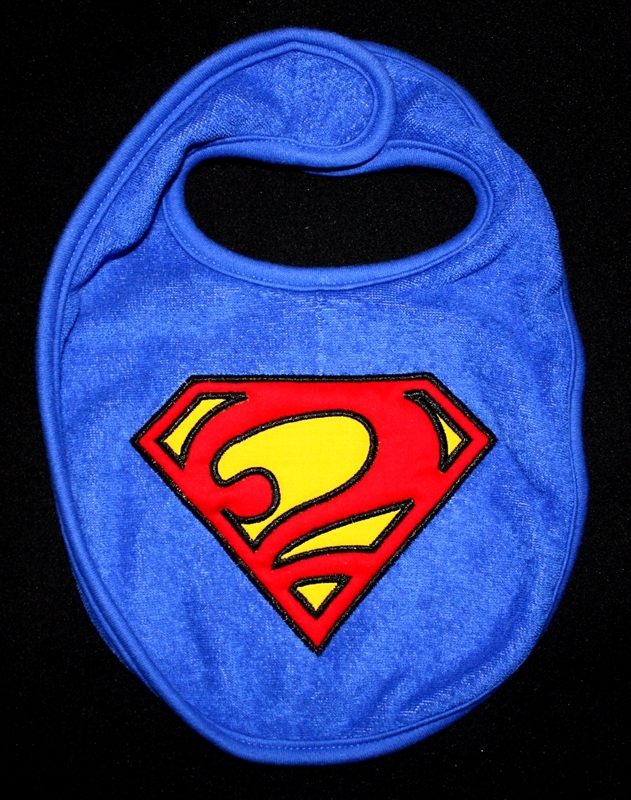 Before putting it on a shirt, I tested my design on a bib. 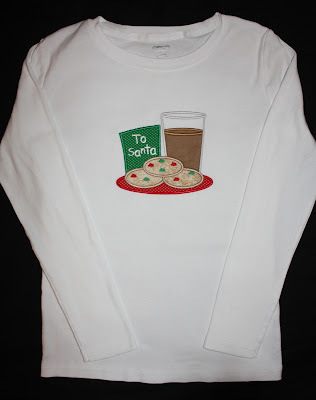 This will be great for cake pictures. 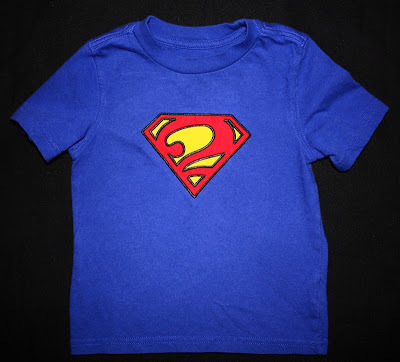 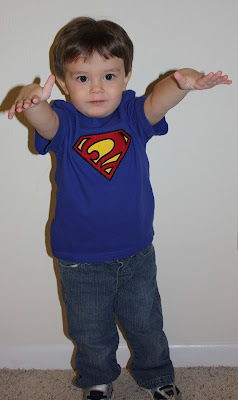 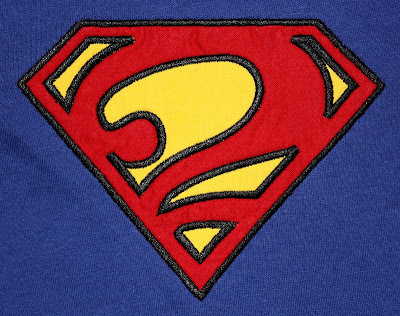 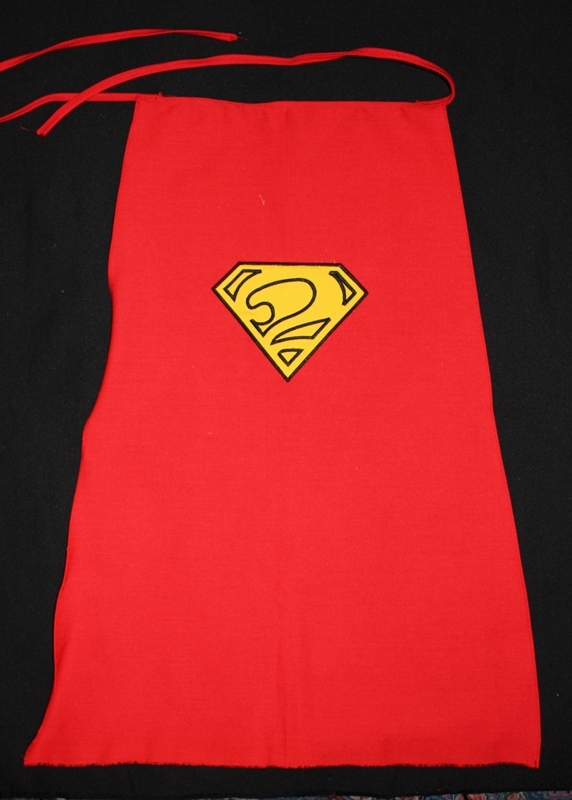 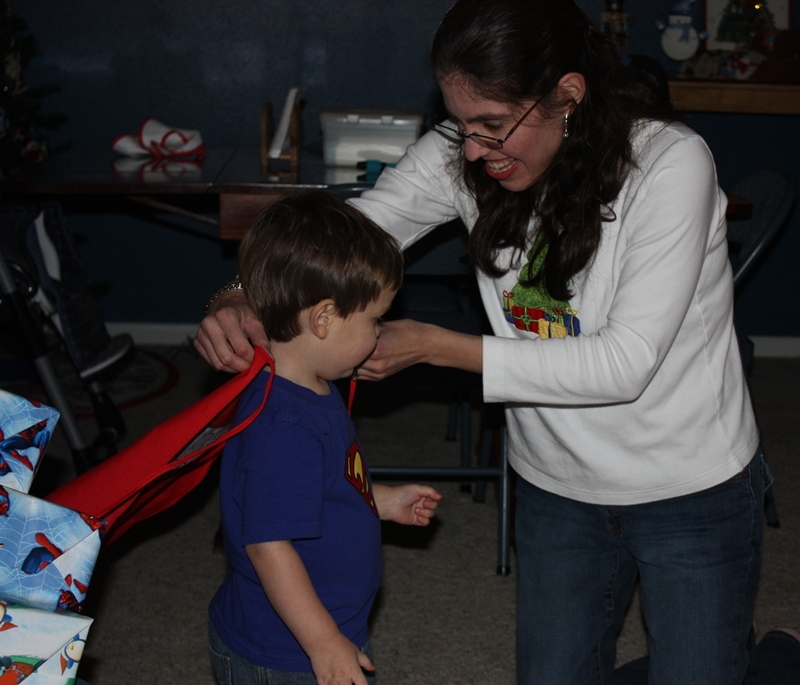 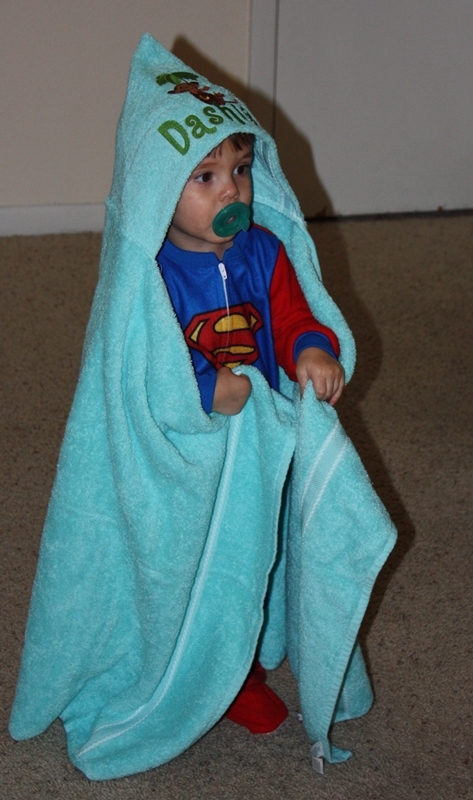 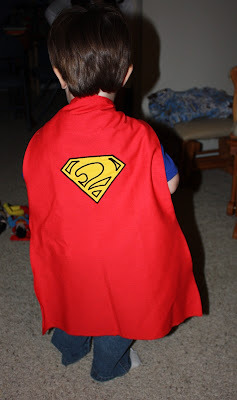 To finish off the gift, I made Dashiell a Two-perman cape. No pattern, I just winged it! 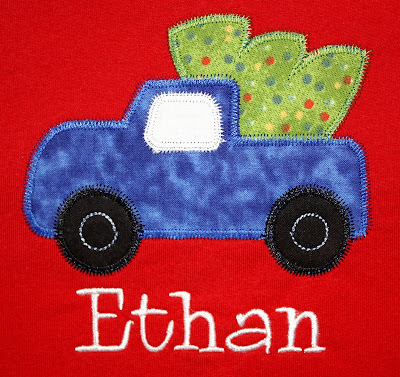 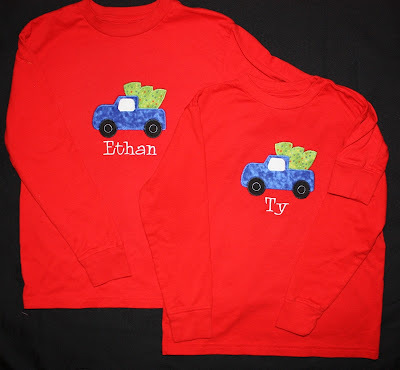 I used Lynnie Pinnie's Zig Zag Christmas Tree Truck Applique and added their names with the Whoa Nelly font from 8 Claws and a Paw. 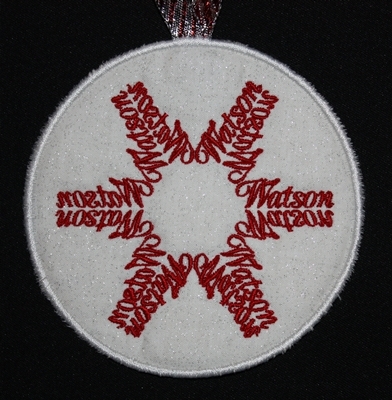 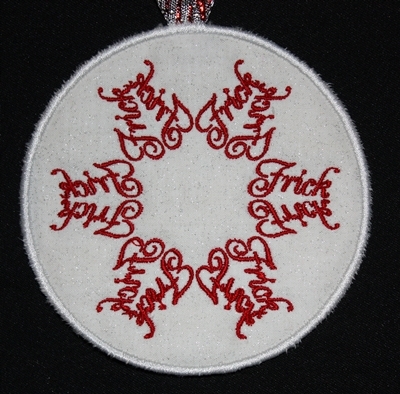 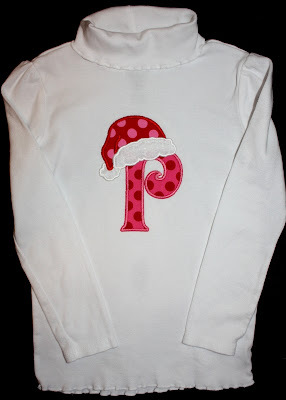 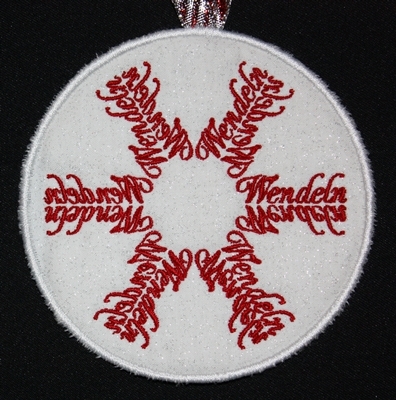 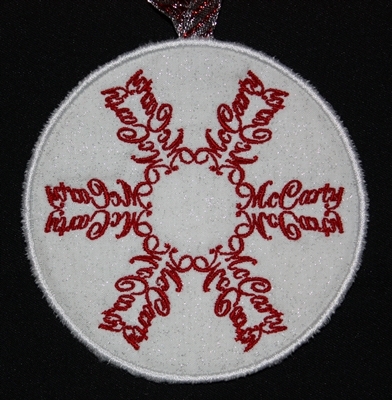 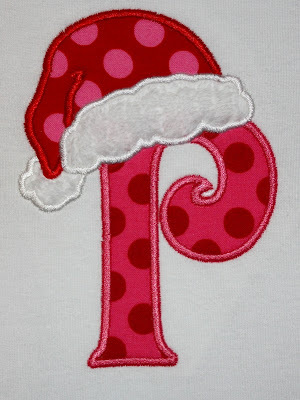 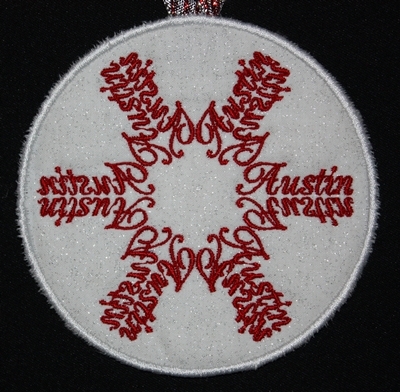 I used Planet Applique's Santa Hat alphabet for the monogram. I hope she wears this Sunday because I haven't seen the whole outfit yet! 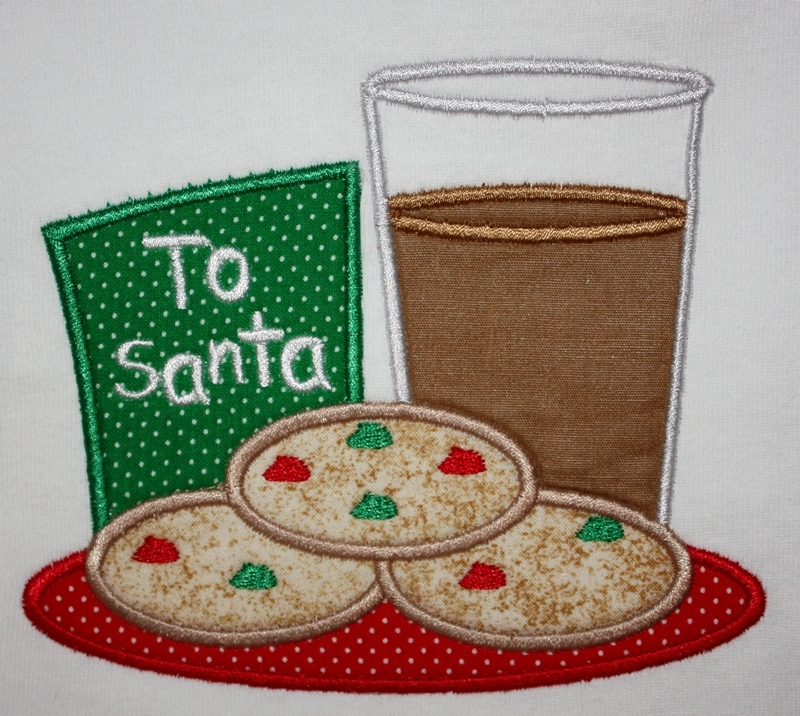 She picked Planet Applique's Cookies and Milk design. Since it was going on a white shirt, we decided to give Santa a glass of chocolate milk, and to make it a bit more festive, we changed the chocolate chips to red and green. 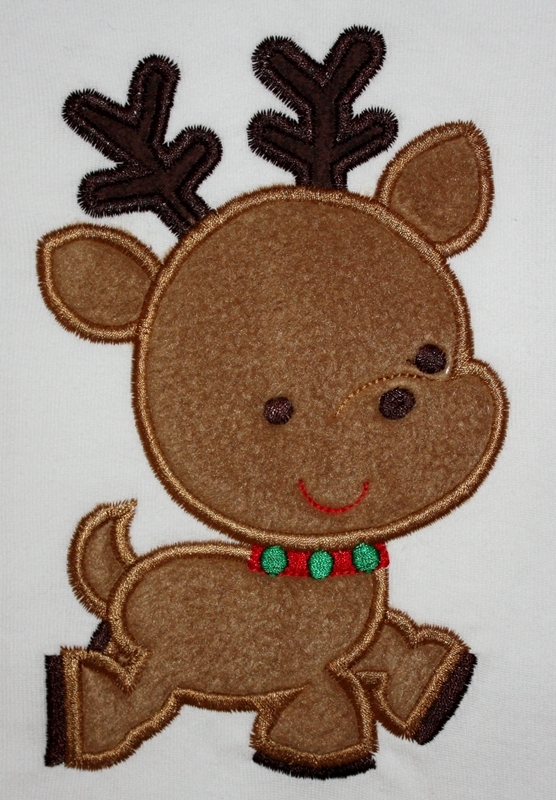 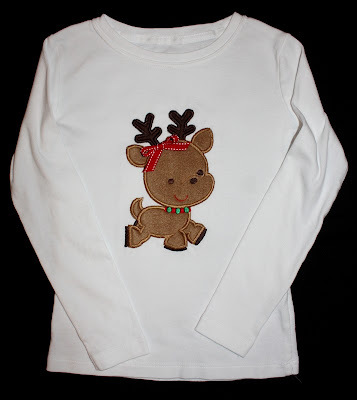 I used Lynnie Pinnie's applique reindeer and we added the bow to make it a bit more feminine. 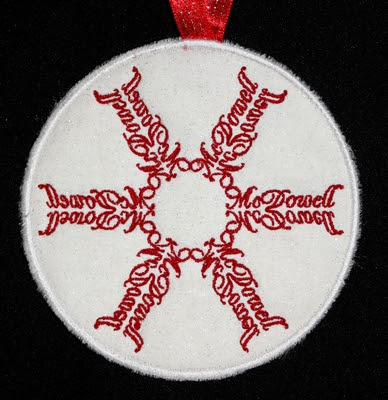 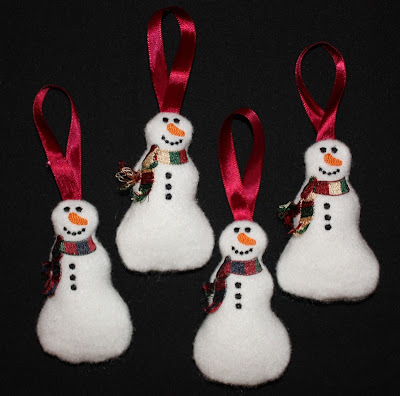 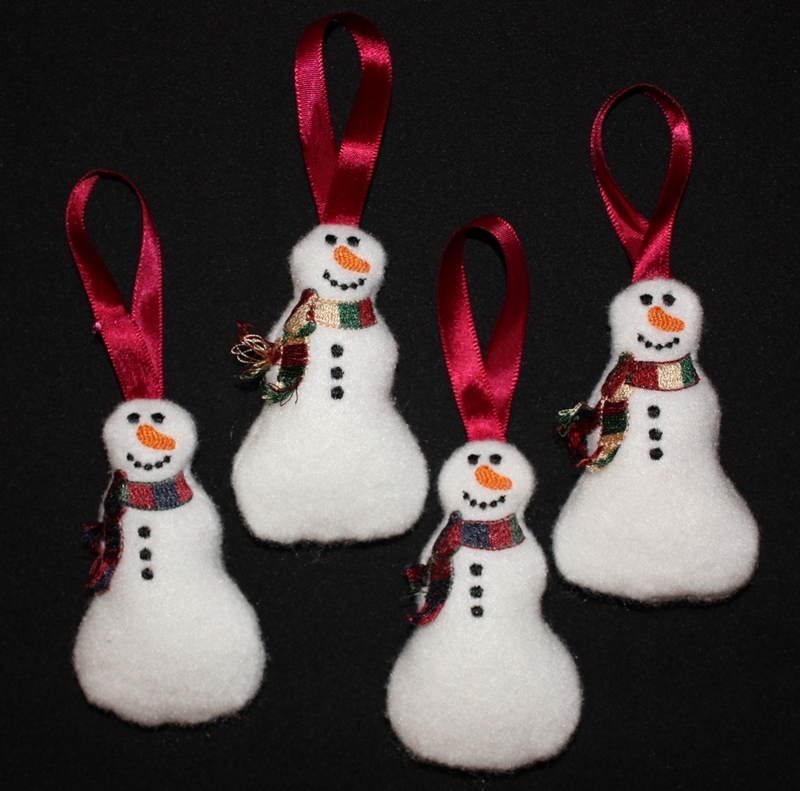 This year I made Nameflake ornaments for all of Annaliese's teachers (classroom teacher, principals, librarian and special area teachers). 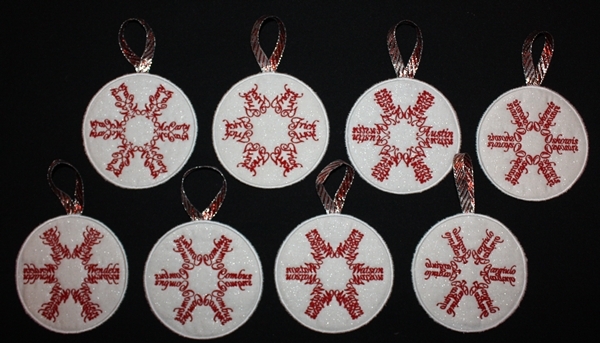 Right at the end of the season I found this pretty sparkly silver and red ribbon, so I chose red thread for this set. 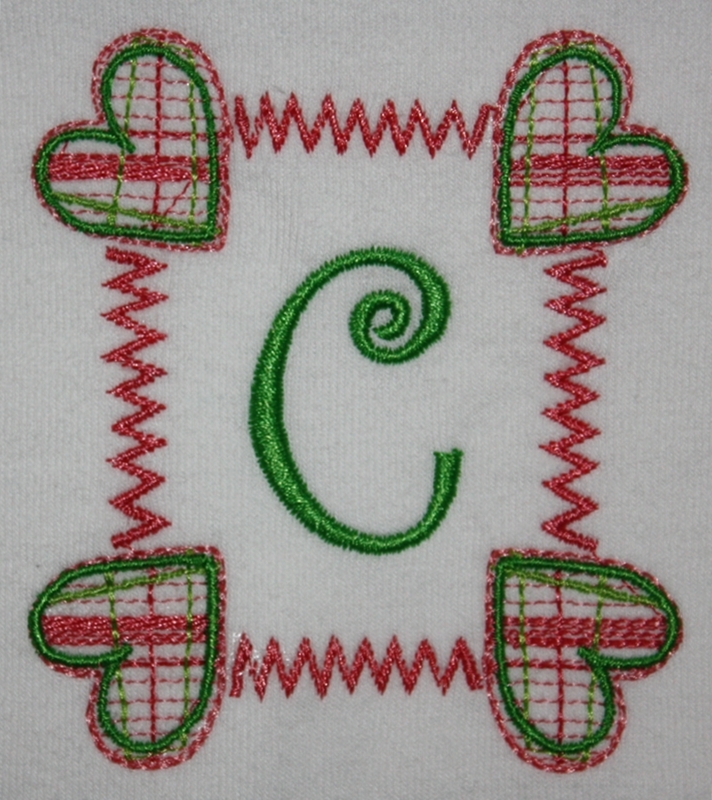 I create these myself using Embird alphabet #38. 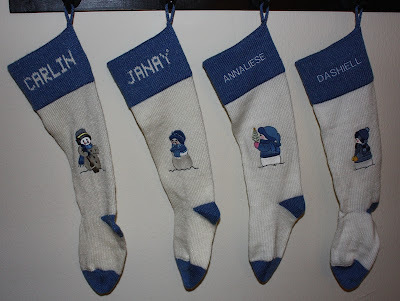 I love how unique each one is! 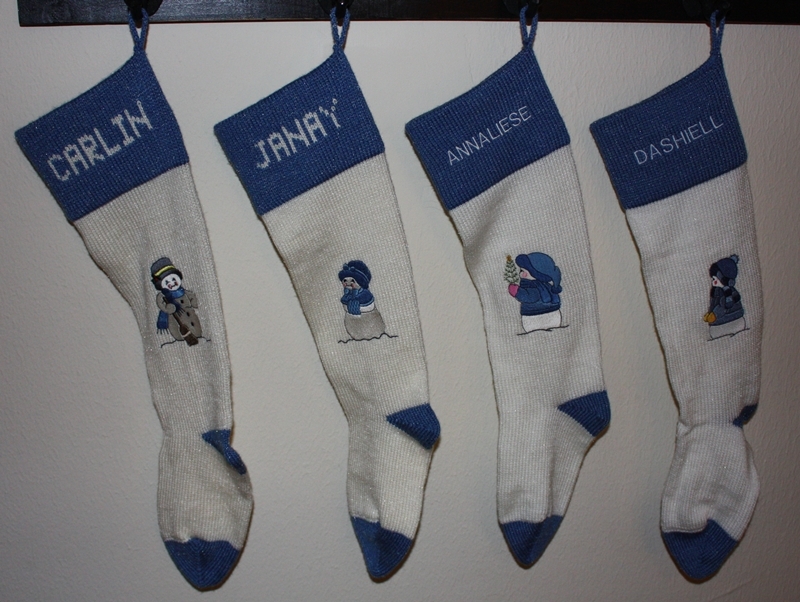 These turned out really pretty. We weren't sure if an 11-letter name would work, but it did!